Having problems with your sump pump? Often, when you’re having an issue with your sump pump, you won’t know until it’s too late. A sump pump is something that many people don’t think about until it’s needed, and if it hasn’t been tested recently, it might not work when it’s time for it to act. But the competent plumbers at John’s Plumbing & Pumps, Inc will do our best to make sure that doesn’t happen. When you choose us for sump pump installation and repair in South Hill WA, we’ll do everything in our power to make sure it’s ready for when you need it. Do I have a sump pump? A sump pump is a pump at the lowest level of your home that removes water and pumps it to a safe basin outside where it won’t return inside. Not every property has a sump pump, and if you aren’t sure, there a few places you can check to see if you have one. Because the purpose of a sump pump is to remove water from lower levels to higher levels, you’ll find them in the lowest part of your home. If you have a basement, this is a prime spot to check, and you’ll likely have one if your basement dips below the standard water table. If you don’t have a basement or you don’t find the pump there, the next place to check is your crawlspace. It’s important that your crawlspace stays moisture free as it can be a prime place for mold growth, so you’re likely to find it here. Still can’t find it? 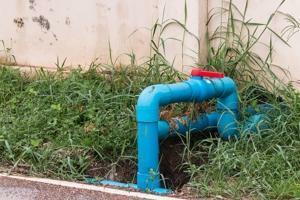 Check for an area with pipes outdoors. This is likely your sump pump basin–the place where the pumped out water drains to–and it will lead back to your pump. 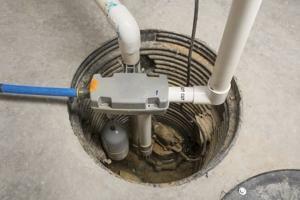 A sump pump sounds important; can I get one installed? Absolutely! If you don’t have a sump pump, our knowledgeable plumbers can install one in your home. Even if you don’t have a basement or crawlspace, we can find an ideal location to install the pump. But sump pump installation is more than simply putting in the pump. That’s why we also create a drainage line and, if necessary, we can even create a new drainage field for your sump basin. We’ll make sure it’s in a safe spot away from your house where the water will go out and stay out! We do more than just sump pumps! While some plumbing companies specialize in one area, with more than 60 years of experience, our plumbers are versatile and are ready for anything. We work on both rural and urban water systems and know the important differences between being on city water and having a septic tank. Our crew is thorough but careful, using cautious, less invasive techniques when needed, such as video line inspections for dirty drains. We can even advise you on water heaters, then pick them up and install them for you. We can do it all! For sump pump installation and repair in South Hill WA and much more, call or contact us now.